We all know how common it can be to use just a little bit of garlic in a recipe for flavor. But how much are we ever told about the true health benefits of eating fresh garlic more regularly? It isn’t something that normally comes up when discussing healthy foods for you. But there are many reasons why eating garlic has been found to be good for you! Here are 6 reasons that I found the most interesting and important reasons as to why you would eat garlic. I found this the most shocking and most helpful property of garlic out of the benefits I had found of eating garlic. A study published in the Journal of Nutrition by Aaron T. Fleischauer and Lenore Arab examined cancers of the stomach, colon, head, neck, lungs, breasts, and prostate to see the effects of eating garlic. In several reports of case-control studies of the stomach and colon, they found that having a higher intake of raw or cooked garlic helped prevents these two types of cancers. Garlic supplements, however, don’t appear to be related to the risk of cancer but there also is not enough variety or study power put towards the supplements. Despite limited research power, they found enough information to be sure that their findings on raw or cooked garlic reducing the risk of stomach and colon cancers is accurate. This study shows that taking just a garlic supplement once a day helps prevent the common cold and lessen the time you stay sick. Many studies have affirmed garlic as a natural antibiotic, including a 2012 study conducted at the Washington State University. This study reported that a compound found in garlic is even more effective than two popular antibiotics that are frequently prescribed for Campylobacter infections. According to research published in the Journal of Antimicrobial Chemotherapy, the most potent compound in garlic is called diallyl sulphide. This compound dissolves and penetrates the protective ‘skin’ of bacteria, killing them. As garlic is highly anti-bacterial and anti-viral, it is very effective at helping prevent and speed up the healing of infections. People who suffer from frequent infections, such as people with open lesions (e.g. 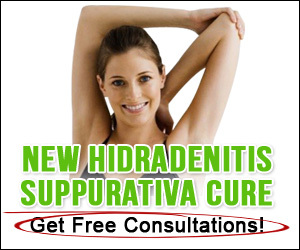 severe acne or hidradenitis suppurativa), should make sure they include some garlic in their diets every day. Several studies have reported that compounds in garlic are even more effective than antibiotics at fighting off food-borne infections, e.g. Campylobacter. This bacterium causes most of the bacterial food poisonings in America and potentially the world. These infections come from eating raw or undercooked poultry as well as foods that were cross-contaminated with tools used to prepare the raw poultry. They note that eating garlic on its own isn’t likely to prevent food poisoning, but the compound diallyl sulfide within it will be helpful in controlling Campylobacter. So, you don’t have to eat several cloves of garlic each day to make sure you avoid food poisoning – one should be good enough to help give you a small boost to help you avoid infection. There is varied research on each topic with different information on how much garlic really helps in the scheme of things. So far, the research where garlic has been shown to help the most is with atherosclerosis and high blood pressure. 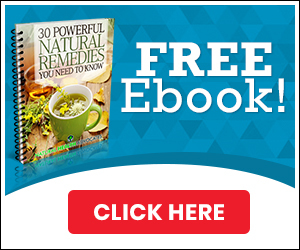 Researchers believe these benefits arise from hydrogen sulfide gas being produced after our red blood cells take in sulfuric compounds from the garlic. This gas helps expand our blood vessels, which helps our bodies to maintain a steadier blood pressure. Garlic has been proven by many studies to have great anti-inflammatory properties. Four sulfuric compounds in garlic have been found to cut inflammation down, making it a perfect adjunct or substitute to NSAIDS if you have inflammatory conditions such as hidradenitis suppurativa, arthritis or sciatica. In a study done at the Medical University of Silesia in Katowice, garlic supplementation was found to significantly reduce the levels of proinflammatory cytokines and oxidative stress – without any side effects. These findings were corroborated by studies done at the University of South Carolina School of Medicine, and reported in the Journal “Viruses” (2017). Increased consumption of garlic was also found to be great for people who suffer from auto-immune diseases due to these sulfuric compounds, such as diabetes, thyroid disorders, and HS. You can even rub garlic on an inflamed area in some cases – like if you have psoriasis – to have some relief. There are many great reasons out there for eating garlic that many people simply aren’t aware of. It can help keep your health and ensure that your body continues functioning as well as it can! Maybe now you’ll find a reason to add a bit fresher garlic into your diet. Or now you have an excuse to eat more spaghetti with fresh sauce or garlic bread. Look up recipes to see what you can find for this astonishingly small but healthy food product. Do note however that heating and microwaving will diminish the concentration of the beneficial compounds in garlic – consuming raw garlic is the best way of getting the most benefit. If you hate the taste of raw garlic, then toss it at the end of cooking time (last 5 to 10 minutes), to preserve the nutrients as much as possible.